DENVER (Oct. 12, 2017) – The Regional Transportation District (RTD) has been granted conditional approval from the Federal Railroad Administration (FRA) to conclude testing along the G Line, which runs from Denver Union Station through Adams County, Arvada and Wheat Ridge. The FRA approval marks another step along the path to completion of the G Line a day after approval came to remove flaggers on the B Line. While permission has been given by the FRA, which governs all national freight rail, commuter rail and AMTRAK, RTD still awaits approval of the Colorado Public Utilities Commission (CPUC), which has state regulatory authority over the at-grade crossings. In September, the CPUC rejected RTD’s application to finish testing of the G Line. Federal officials are requiring RTD to adhere to a set of 20 conditions which include submitting a plan for review at least 10 days before the proposed beginning of testing, providing training for crew members, and notifying the FRA of any changes to software or hardware being used along the line. 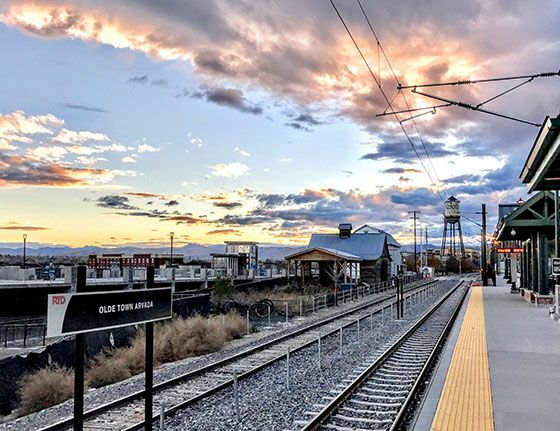 The final tests will focus on the Interoperable Electronic Train Management System, which is the same gate-crossing communication technology that is being used along the University of Colorado A Line and the B Line. The G Line’s 11.2-mile route includes 16 at-grade crossings.